In brief: Logitech's new wireless charging stand excels where other solutions fall short as it allows you to effectively use your device while it is being charged thanks to its 65 degree display angle. Conversely, this means you can only charge one device at a time, a noteworthy limitation if you have multiple iDevices. Logitech recently announced a new wireless charger for iPhone that allows owners to seamlessly charge and use their phone simultaneously. 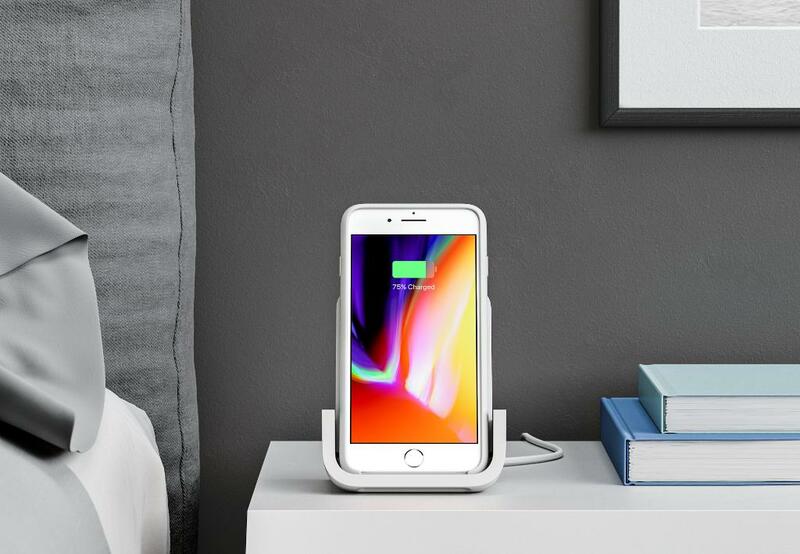 Designed in collaboration with Apple, the Logitech Powered Wireless Charging Stand is tailor made for the iPhone 8, iPhone 8 Plus and iPhone X, delivering up to 7.5W charging. The rubberized u-shape cradle holds your iPhone in either landscape or portrait mode at a 65 degree angle, even when housed in a protective case up to 3mm thick. The Logitech Powered Wireless Charging Stand is offered in an off-white color scheme and is available to pre-order over on Logitech’s website for $69.99. It’s worth noting that Logitech’s new charger is also capable of charging other Qi-enabled devices with similar dimensions although it’ll only do so at a rate of up to 5W. Given this limitation, its decidedly Apple color scheme and the relatively high price, you’ll probably want to look elsewhere for a wireless charger if you aren’t an iPhone user. Optionally, if you do use a newer iPhone, remember that Apple’s AirPower charging mat is coming soon. It’s capable of charging multiple devices at once although they’ll have to lay flat versus sitting at a comfortable viewing angle like the Logitech stand affords.